Farming an acre with volunteers is no small feat. Many hands are needed, and we welcome yours. We invite you to come dig, weed, learn, teach, ask questions, take a shift on irrigation, cook for our Saturday meals, share ideas, or donate materials or funding. You can help in whatever way you’d like. Volunteering with us is rewarding because it is tangible—you can watch it grow!—and for the simple satisfaction of working with others on something meaningful. 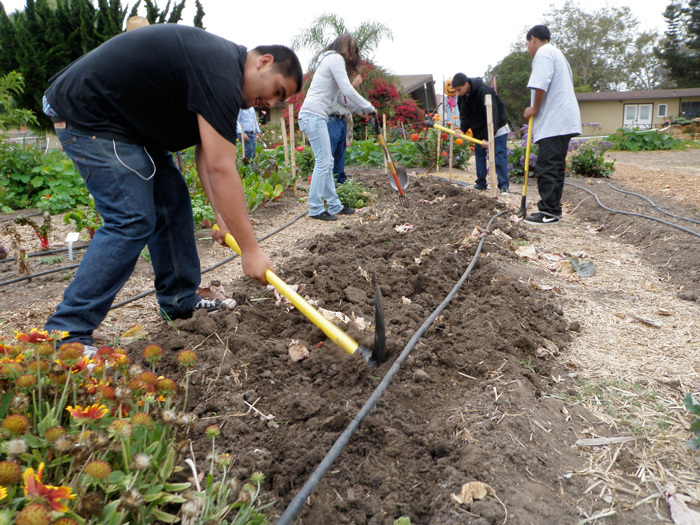 Working in the garden is also a fun way to complete needed community service hours. 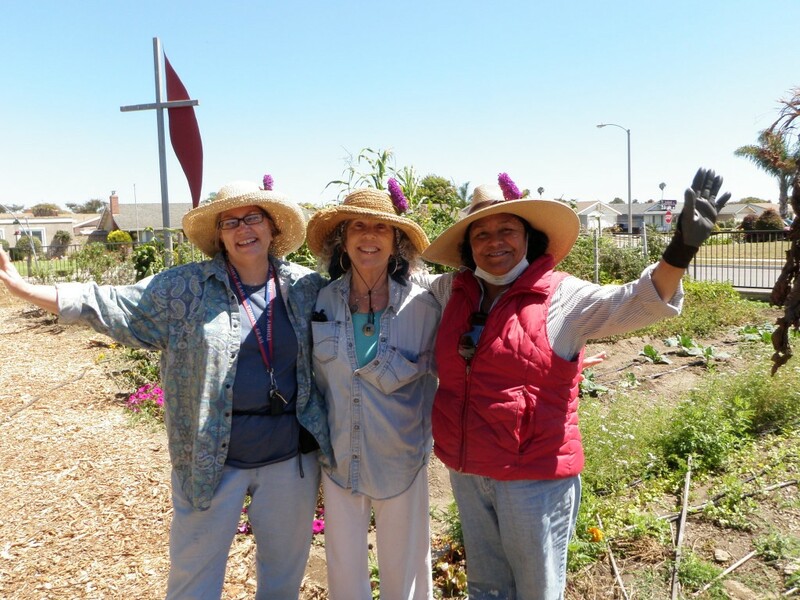 Wednesdays 1:00 p.m. – 4:00 p.m.
For more information on volunteering, contact us at 805-616-2326. If you’d like to volunteer in the garden, please bring a sunhat and sturdy shoes. Tools and water provided. No experience necessary. Children welcome. Se habla español.